Dogs have always been a part of my life. As a child I grew up with a Boxer, 'Heinz 57' and a Weimaraner. In later years I have shared my life with an English Springer Spaniel, Clumber Spaniels and Grand Basset Griffon Vendeen's. My father and brother still have Affenpinschers. Our involvement with Clumber Spaniels began in 1984 when after many months of waiting, we purchased our first Clumber puppy. She was initially bought as a companion for our English Springer Spaniel, Nyssa. She, as have all our subsequent Clumbers captivated our hearts and became more than ‘just a dog’! At the time of purchase we had no intentions of showing; but that soon changed and we ended up showing her, breeding from her and visiting an old people’s home with her under the PAT dog scheme. Our first Grand Basset Griffon Vendeen, (GBGV), Gertie, came to share our lives in 1998. 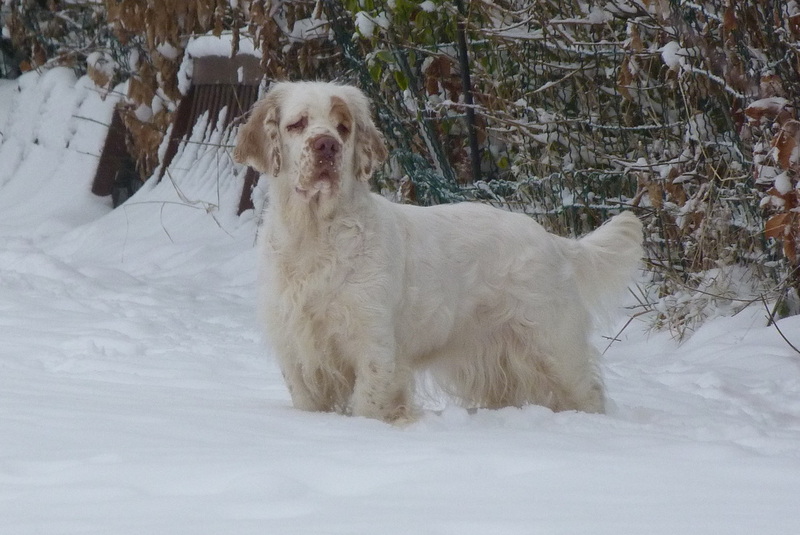 She joined our team of three Clumber Spaniels. As a breed, she was quite a contrast to the Clumber, although they do compliment each other well. All our dogs live as part of the family sharing our home with us. I have shown my dogs, participated in agility, and visited the elderly with them as PAT dogs. We only breed occasionally and our puppies are reared in the home as an extension to our existing doggie family.